After many years I finally have a sign made and it is a nice one, it's made of aluminum and I think it stands out nicely. The idea is to bring it with me when I sharpen at various locations. A website called Gearjunkie.com contacted Knifeplanet asking if I would write some basic tips about knife sharpening for their readers which I did. I don't find it difficult to write about what I love to do most in the world, not to say it is always good material but I do what I can do. People are always interested in learning to sharpen. Recently I was connected with a company that makes truly world class end grain cutting boards called Larch Wood. These are exceptional products, the best that I have ever seen and used. 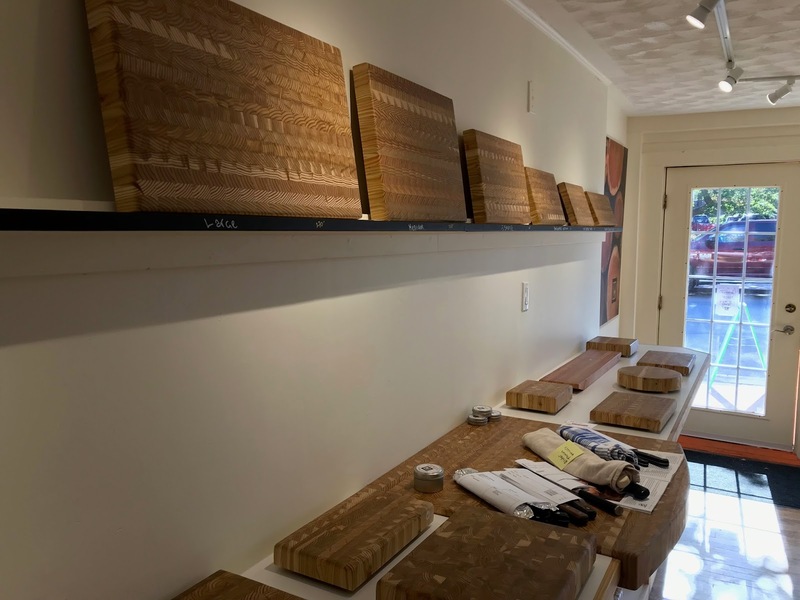 End grain boards, especially these ones are very knife friendly, you can't beat them and it is because of the way that they are made of course. Picture a 2" x 4" being cut into four inch pieces and putting them all together with the ends facing up. It is a very fibrous and seal healing method and really kind to the edges of a knife. 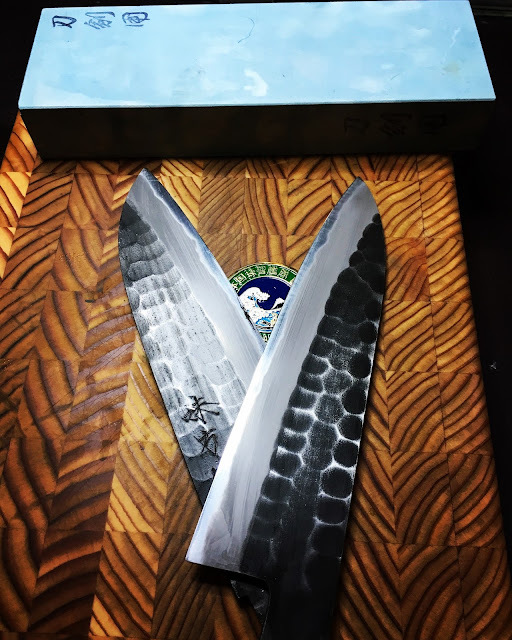 I will be sharpening at Larch Wood in Wolfville NS on a weekly basis starting in Nov, you can see some knives stacking up for me. ( I went down and got these ones done, 17 in total. I get a lot of questions about knife sharpening from good folks all over the world and the questions are often very similar, a problem with the edge after shifting from a coarse to a medium and fine stone. Some are finding the knives getting duller during this phase of sharpening. 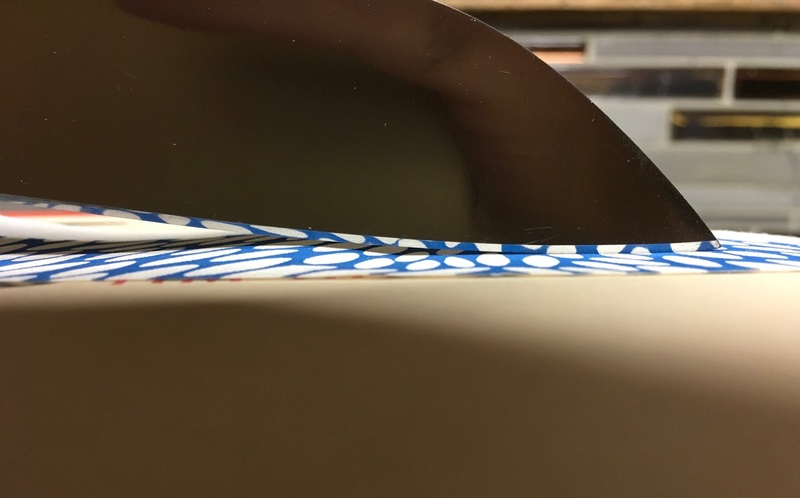 I believe that there is an easy fix for this and I had a student come back with the same issue once, a degradation in edge sharpness once he hit the Shapton Pro 5,000. I believe the culprit is pressure, applying too much out of it and here is why it happens. This is just my theory by the way but it makes sense to me. Many years ago now, I learnt that if I could make a knife as sharp as I possibly could on a coarse stone, that everything after that seemed to move along very smoothly and the results were always better. Get the most you can from that 400 or 500 grit stone before switching to a higher grit stone. Folks who are are doing that are therefore, perhaps, using to much pressure on the 1,000 and finishing stones because the work was not done on the first stone. As you all know, I use four levels of pressure when I form the burr and three levels after that, during the burr removal stage. So my first level of pressure on the coarse stone is moderate to heavy depending on the condition of the edge and the steel. Once I have formed a burr, I still use that same stone but I drop the pressure level by 50% at least and continue to decrease the level of pressure until I have completed the 4 levels. THEN, and this is still with the coarse stone, I check the edge under a good light to look for any reflections, if there is any hint of light at all, it means I have not done my job yet, have not done all the "cleaning" of the edge on that stone so I got back and go over the edge, concentrating on the spots or spot with the reflections. I use light pressure here but I ensure, I really make sure that before I move to a 1,000 grit stone for example, there is no light. Believe me, the knife will be very sharp at this stage. NOW I can move to the 1K and 5k stones and I never need to use heavy pressure again, it is very moderate to feather light and this simple process ensures that edges are getting sharper, not duller. 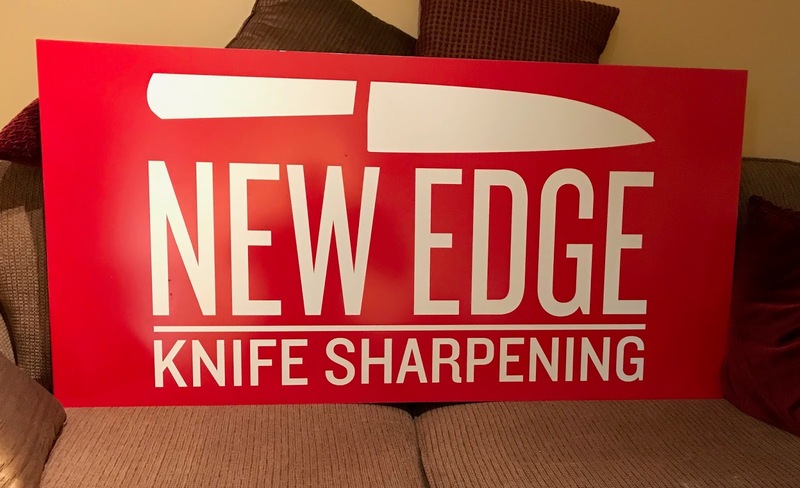 Edge is a matter for every single knife. Got some great tips on your blog. I love this "NOW I can move to the 1K and 5k stones and I never need to use heavy pressure again, it is very moderate to feather light and this simple process ensures that edges are getting sharper, not duller." and thanks for these pictures.